The American Association for the Advancement of Science (AAAS) has appointed three University of Pittsburgh professors as members of its 2018 lifetime fellowship cohort. AAAS will recognize James Woodward, a Distinguished Professor in the Department of History and Philosophy of Science; Jeremy Levy, a Distinguished Professor of Condensed Matter Physics in the Department of Physics; and Astronomy and Adam K. Leibovich, a professor in the Department of Physics and Astronomy, during its annual meeting on Feb. 16. The professors were among 416 fellows selected this year and will join a list of distinguished scientists including inventor Thomas Edison, astronomer Maria Mitchell and computer scientist Grace Hopper. More information on the winners can be found here. Andy Moran, senior manager of grounds in Facilities Management, accepted a 2018 Green Star Award on behalf of the University at the Professional Grounds Management Society’s recent awards dinner in Louisville, Kentucky. The Green Star Awards program brings national recognition to grounds maintained with a high degree of excellence, complementing other national landscape award programs that recognize outstanding landscape design and construction. Pitt was recognized with an Honor Award in the Urban University Grounds category for exceptional grounds maintenance. Pitt Grounds’ 31 full-time and 15 seasonal grounds employees provide 24-hour maintenance to all landscaped areas, lawns, parking lots, garages and athletic fields across the University’s 145-acre Pittsburgh campus as well as winter maintenance of 30 miles of sidewalks and over 2,000 steps. Two medical researchers from the University of Pittsburgh were recently recognized for their efforts in the field of medicine by UPMC Senior Services. Anne Newman, professor and chair of Pitt’s Department of Epidemiology, was named Grand Champion for her work in the epidemiology of aging, longevity and disability. It is the highest honor awarded by UPMC Senior Services. Richard Schulz, distinguished service professor of psychiatry, was honored as Caregiver Champion. Schulz’s work focuses on social-psychological aspects of aging, including the impact of disabling late-life disease on patients and their families. Both, along with Community Champion United Way of Southwestern Pennsylvania, were honored at an October ceremony in Pittsburgh. Agent-based models, which simulate interactions between individuals to assess their effects on systems, are widely used in fields such as epidemiology, traffic engineering and systems biology. However, the technology to build agent-based models is surprisingly primitive. No algorithms exist to create large-scale ABMs semi-automatically, and current ABM development frameworks make no contact with modern knowledge technologies such as ontologies, machine reading, and machine learning. This project aims to develop probabilistic models and algorithms for incremental, human-machine development of ABMs. These methods will be demonstrated in both a disease outbreak problem and a long-term economic risk-modeling problem. 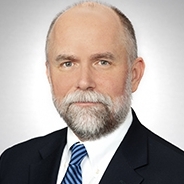 Dr. Donald S. Burke, dean of the University of Pittsburgh Graduate School of Public Health and professor of health science and policy, has received the John Snow Award from the American Public Health Association and the Royal Society for Public Health. The award, which annually recognizes an outstanding scientist for excellence in epidemiologic practice or research, was be presented to Burke on Nov. 12 in San Diego at the 2018 APHA annual meeting. Awardees are chosen for their contributions to the improvement of human health or substantial reduction in burden of disease through innovations in public health practice, based on clear epidemiologic foundations or implementation of epidemiologic approaches to the solution of health problems. Two Pitt researchers were named to Forbes 30 Under 30 in the health care category for 2019. Inmaculada Hernandez, 28, assistant professor in Pharmacy and Therapeutics, started her own research group in 2016 at Pitt after her completing her Ph.D. at 25. Forbes cited her research on drug pricing, which found prices of drugs increase twice as fast during a shortage as they would otherwise and quantified the full cost of recently approved CAR T-cell cancer therapies. Shinjini Kundu, 28, a doctor at UPMC and medical researcher at Pitt, developed a new technology to analyze medical images and detect disease using artificial intelligence while enrolled in the joint Pitt/Carnegie Mellon Medical Scientist Training Program. 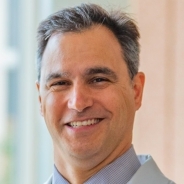 Dr. Richard Beigi, a professor of reproductive sciences in the School of Medicine’s Department of Obstetrics, Gynecology & Reproductive Sciences, is set to become the president of UPMC Magee-Womens Hospital. He will be the first physician to lead a UPMC hospital. Beigi, who currently serves as Magee’s chief medical officer, will succeed Leslie Davis on Jan. 1, 2019. Mary Rugh, senior manager for electrical in Facilities Management, has been inducted into the Electric League of Western Pennsylvania’s Hall of Honor. This lifetime achievement award recognizes those who have made significant contributions in furthering the high ideals and goals of the industry. Rugh’s career in electrical engineering includes her work over the past 33 years on the University’s electrical infrastructure systems. She is responsible for operation and maintenance of the University’s Pittsburgh campus 5kV electric power distribution system. Rugh has negotiated University electric contracts since the inception of deregulation, saving the University more than $10 million over the past two decades. A professional engineer, she came to Pitt in 1985 as a control systems engineer, was promoted to senior electrical engineer in 1997 and became senior manager for electrical in 2015. She has been part of the Electric League since 2008 and serves on its education and expo committees. The University of Pittsburgh Office of Economic Partnerships has been awarded the Association of Public and Land-grant University (APLU) Innovation and Economic Prosperity award. The award recognizes exemplary initiatives spurring innovation, entrepreneurship and technology-based economic development. Winners are limited to universities that have conducted internal studies examining its local and regional economic engagement and have been designated by APLU as Innovation and Economic Prosperity Universities. The University of Pittsburgh first earned the designation in 2014. Sixty-four institutions have been named IEP University designees since the program was launched in 2012. In its announcement of the award, the APLU praised Pitt for work with the Brookings Institution and Pitt’s Immune Transplant and Therapy Center, noting the latter as "one of a host of innovation hubs the university is launching across the city to support pathbreaking research and business development." The National Science Foundation awarded $1.2 million to the Swanson School of Engineering to support research into using machine learning and Big Data to analyze electronic anesthesia records and prevent postoperative complications and death. 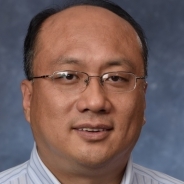 Heng Huang, John A. Jurenko Professor in Computer Engineering at Pitt, is principal investigator on the study titled “SCH: INT: New Machine Learning Framework to Conduct Anesthesia Risk Stratification and Decision Support for Precision Health.” Huang will analyze more than two million cases of anesthesia data taken from 303 UPMC clinics and treatment centers. Huang is collaborating with co-principal investigators Dan Li, assistant professor in the School of Nursing, and Fei Zhang, certified registered nurse anesthetist in the Department of Anesthesiology and Perioperative Medicine. Find more details here. Adrian Lee, a biomedical professor in the University of Pittsburgh’s Department of Pharmacology and Chemical Biology, recently received the Distinguished Mentor Award from Pitt’s Biomedical Graduate Student Association. 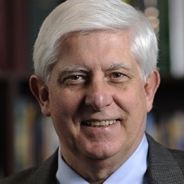 Lee also serves as director of the Institute for Precision Medicine and director of the Womens Cancer Research Center. His research areas include pharmacology of cell and organ systems, cancer genomics, systems biology of cancer and hormone signaling and action. 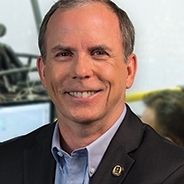 Rory Cooper, director of the Human Engineering Research Laboratories, was the highest finishing American to complete the men’s handbiker competition of the Berlin Marathon, held in September. 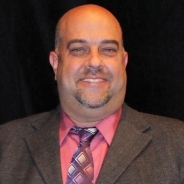 Cooper placed 49th out of 111 finishers with a time of 1:26:17.
Cooper also serves as associate dean for inclusion in the School of Health and Rehabilitation Sciences and is a distinguished professor in the Department of Rehabilitation Science and Technology. 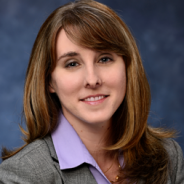 Susan Fullerton, assistant professor of chemical and petroleum engineering at the Swanson School of Engineering, recently received the 2019 Marion Milligan Mason Award for Women in the Chemical Sciences. 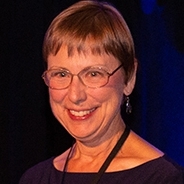 Fullerton was one of five recipients nationwide recognized for “extraordinary contributions through their research programs and demonstrate a commitment to move their fields forward.” Her research group seeks to establish a fundamental understanding of ion-electron transport at the molecular level to design next-generation electronic devices at the limit of scaling for memory, logic and energy storage. The award is given by the American Association for the Advancement of Science. Read more about Fullerton at the Swanson School’s website. Three medical researchers from the University of Pittsburgh were recently elected to the National Academy of Medicine. 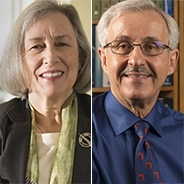 The elected researchers are Amy Houtrow, associate professor of physical medicine and rehabilitation and pediatrics at Pitt’s School of Medicine; Clifton Callaway, professor and Ronald D. Stewart Endowed Chair in Research in Pitt’s Department of Emergency Medicine; and Robert Friedlander, the Walter E. Dandy Professor of Neurosurgery and Neurobiology at Pitt’s School of Medicine. The academy addresses critical issues in health, science, medicine and related policy and inspires positive actions across sectors. It also works alongside the National Academy of Sciences and National Academy of Engineering to provide independent, objective analysis and advice to the nation, and conducts other activities to solve complex problems and inform public policy decisions. Jane A. Cauley has received the American Society for Bone and Mineral Research 2018 Shirley Hohl Service Award. 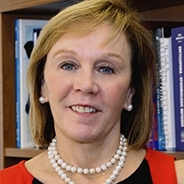 Cauley is a distinguished professor and executive vice chair of the University of Pittsburgh Graduate School of Public Health’s Department of Epidemiology. She received the award after volunteering for numerous positions and projects with the society. Cauley’s primary research interest is the epidemiology of osteoporosis, especially the worldwide ethnic and geographic variability in fracture, osteoporosis screening and treatment, risk factors for fractures and the consequences of osteoporosis in both men and women. Adam Lee and Rosta Farzan, associate professors in the School of Computing and Information, recently received more than $280,000 from the National Science Foundation for their project that explores privacy-enhanced sensor designs that provide people with the knowledge and assurance of when they are being recorded and what data is being captured. Today, casual conversations and encounters, that were once thought to be private, may now be recorded and archived digitally. Networked microphones and cameras can give rise to serious electronic privacy concerns. While these types of devices that listen to us and capture data can benefit users in many ways, users may also face serious privacy violations. Their project brings together expertise in computer security and privacy, access control, human computer interaction and social computing. Through this interdisciplinary team, the goal is to make socio-technical contributions to both theory and practice. Lee and Farzan’s project combines hardware and software techniques to tangibly and visually convey a sense of privacy to people who are impacted by sensors. Professor Diane Litman and Associate Professor Yu-ru Lin have been named to SAGE journal’s list of 39 women doing amazing research in computational social science across the world. The list includes women who have made significant contributions to social sciences and humanities with their innovative use of computational methods and explorations of cutting edge tech. 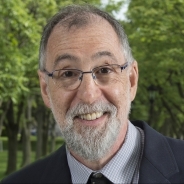 Litman, professor of computer science and co-director of the Intelligent Systems Program, focuses on artificial intelligence and its application to a variety of areas including linguistics, education, reasoning and behavior. Lin, also in the School of Computing and Engineering, leads the Pitt Computational Social Dynamics Lab. Her research focuses around the ways we become more informed and how that affects our behavior. 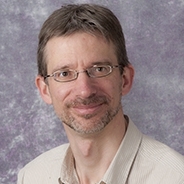 David Binion, professor of medicine in Pitt’s School of Medicine and co-director of the Inflammatory Bowel Disease Center, was recently named a recipient of the 2018 Sherman Prize. The award, presented by the Bruce and Cynthia Sherman Charitable Foundation, recognizes outstanding contributions in the fight to overcome Crohn’s disease and ulcerative colitis, both of which are known as inflammatory bowel diseases. 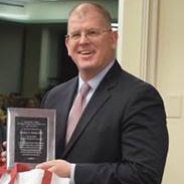 Binion was recognized for the “novelty and creativity” of his research on the immunologic, cellular and physiologic alterations associated with Crohn’s disease and ulcerative colitis, applying his insights to improving care for those most severely impacted by these diseases.